Our deluxe rooms are no lesser than feeling to be in your own bedroom. 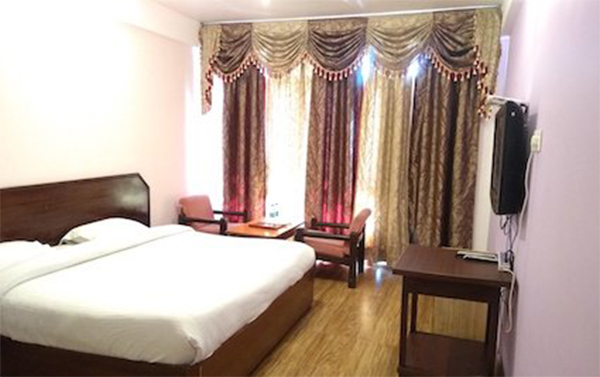 We offer well-ventilated rooms with all necessary amenities including LCD TV, table, lights, AC, and fan with a double/single bed. Our Super Deluxe Rooms have a high number of bookings as it offers an attached balcony. You would surely like to take a mesmerizing view of morning and evening from that spacious balcony. 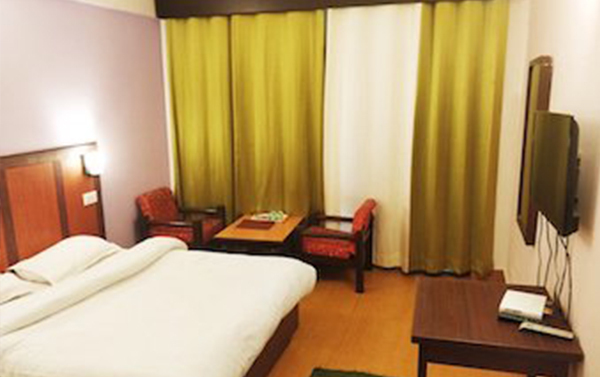 The room offers a comfy bed, pillows, blankets, LCD TV, intercom, and others. A ready world for honeymoon couples. 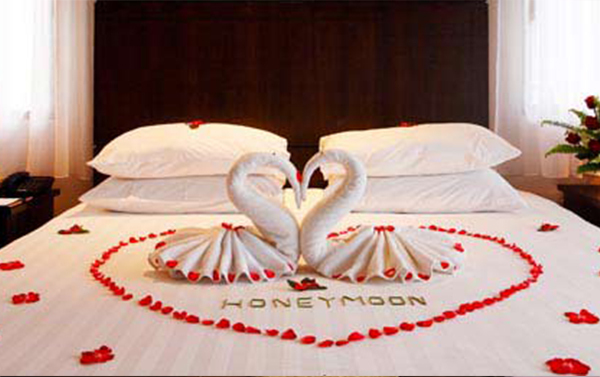 You will find a beautifully decorated room welcoming you on the eve of your honeymoon. 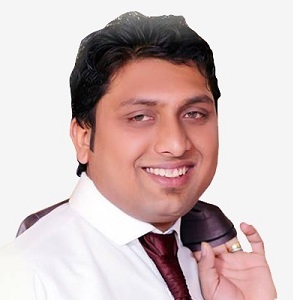 We eminently take care of ambiance to amenities. Along with an LCD TV, intercom, you will find a wardrobe and a king size bed. 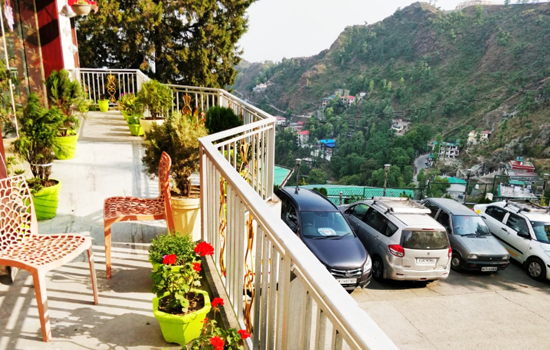 It is a 3 star hotel in Mussoorie located in a lovely green location.. Service is awesome. Room are hygienic. 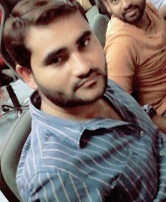 Food is very tasty n full of variety. it's located ride beside the Main Shopping Area. Good place to visit and stay in Mussoorie. Very close to the mall road and therefore very close to the heart of the city. Good service, Great breakfast, Great place. 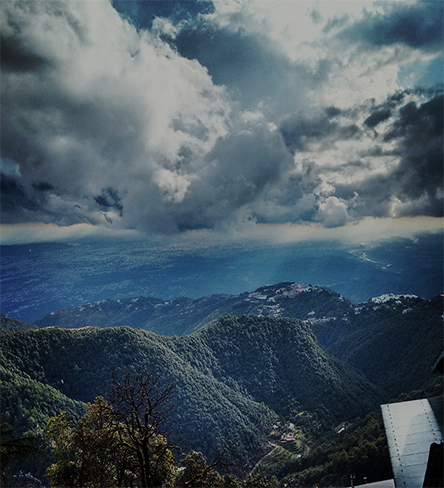 The beautiful city of Mussoorie rests in the foothills of The Himalayan range. 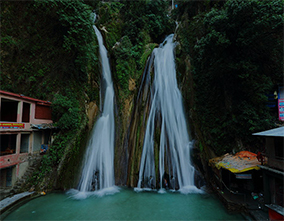 Located at about 35 km from Dehradun, the beauty of Mussoorie has been ruling the hearts since the Colonial Period. 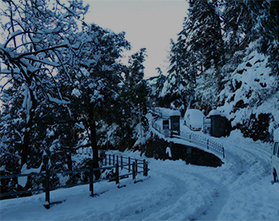 It has been one of the best admired hill stations of India. 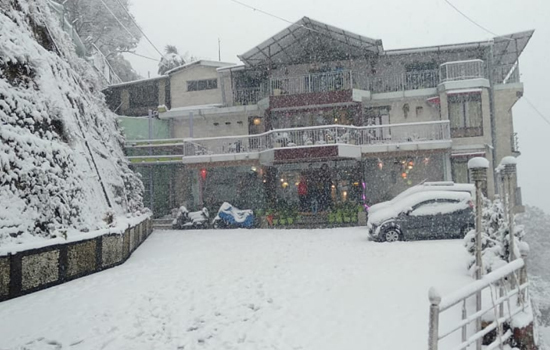 The best time to visit Mussoorie is from mid-March to mid-November. For the rest of the year, although the beauty of the city never vanishes, however, the rains make the visit uncomfortable. One can experience the fresh natural air, cool waterfalls, handicrafts and certain sports make it worth visiting. If you want to taste the best foods of Mussoorie, enter our dining room. With a capacity of 50-100 people at a time, our restaurant serves foods like Chinese, Mughlai, Continental, North Indian, South Indian, Italian and spectacular Garwahlian recipes. The aesthetic interiors of the restaurant would surely make you excited to visit as long you stay at the hotel. The contemporary dining features are one of the major attractions of our restaurant. We love to entertain our guests with freshly prepared foods and slow music. We have a bar area where you can enjoy varieties of international wines.